The beaches of the Thai islands are amazing and beautiful, but they are not renowned for the azure water and white sand. 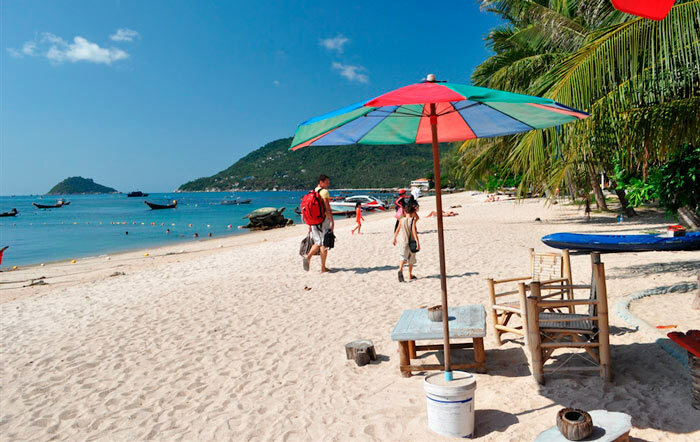 Pride Koh Tao — these are some of the best beaches in Thailand for great diving. The most popular beach of the island is Sairee. It is a strip of white sand long by 1.7 kilometers. Here, well-developed infrastructure (many shops, cafes, etc.). Besides diving and rock climbing are also developed, thanks to several stone boulders separating the beach. Mae Haad Beach is the most convenient in terms of transportation. It is easiest to get to. The largest number of offices dive centers are located exactly at Mae Haad. The southern part of Ko Tao takes Chalok Beach. This is a quiet place on the island with the lowest housing prices. This beach infrastructure is not inferior to its neighbors.